Looking for cost-effective recruitment software? simplicity and efficiency as your business grows. "We are very impressed, it's a level above all the typical ones. 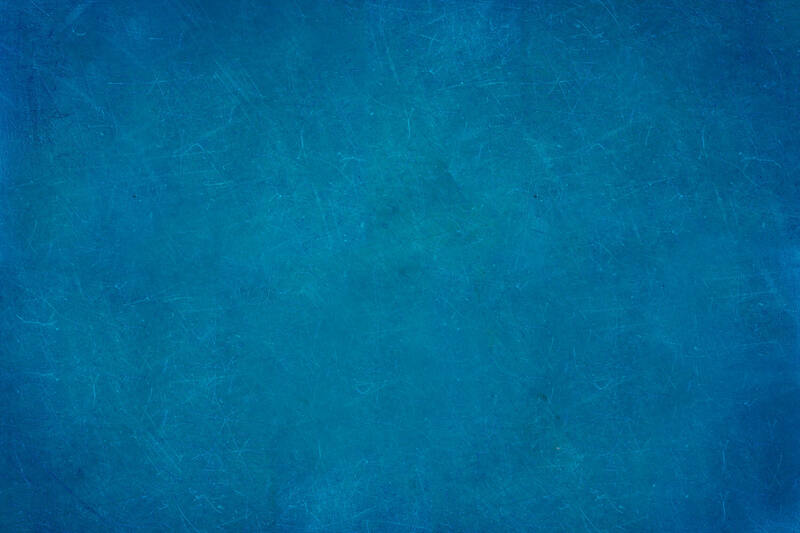 You have mastered simplicity and it works really well!" 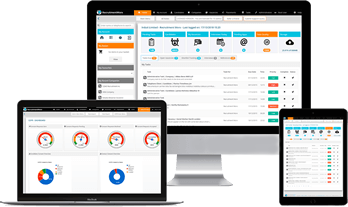 RecruitmentWorx is a cloud based recruitment database complete with CRM and ATS features that instantly enables recruitment agencies of any size to streamline and automate their processes, improve efficiency and spend more time actively recruiting. I've worked with numerous CRMs and ran tender processes for new systems and RecruitmentWorx is slick, adaptable, value for money and importantly for me the team are extremely personable and importantly responsive to any changes or help required. We are very impressed, it's a level above all the typical ones. You have mastered simplicity and it works really well! I have been delighted with the level of service received from the team at RecruitmentWorx, both during our initial demo and the implementation of their software. Every question and query was answered immediately, and the setup and migration of our existing data was exceptionally quick and very smooth. I have been super impressed with the service and support from the team. We have evaluated a number of online recruitment databases but RecruitmentWorx ticks all the boxes for us. Great service from the team and very competitively priced. I would definitely recommend this to any recruitment business that is looking for a cloud-based recruitment solution for their staff. From my first conversation I have received nothing but the level of service you would normally expect from a more expensive solution. To be able to have access to such a professional service at such affordable rates is of great comfort and I am comfortable that as my business grows Recruitment Worx will grow with me. and I would strongly recommend RecruitmentWorx to any agency. have further improved our experience with the RecruitmentWorx team. that we require at a very reasonable price. and I look forward to continuing working with you. than our existing system already! 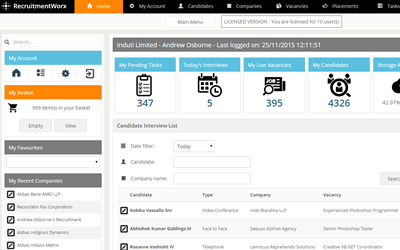 Keep track of clients, candidates, vacancies and placements with ease. Our recruitment industry designed software offers advanced CRM/ATS functionality, helping to save recruiters time by streamlining the entire recruitment process. Our rolling monthly plan helps eliminate the initial cost of an annual subscription and is perfect for recruitment start-ups in need of recruiting software. 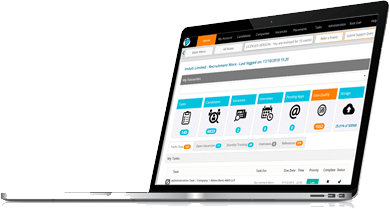 Trusted by recruitment professionals throughout the UK, RecruitmentWorx is a cloud based recruitment CRM software solution and applicant tracking system tailored to the needs of agencies and recruitment start-ups. RecruitmentWorx is designed to increase recruiter efficiency by enabling you to manage clients, candidates, vacancies and placements from a single cloud based recruitment platform. Our affordable and transparent pricing options make our UK based recruitment database one of the most cost-efficient on the market and you and your team will instantly feel at home within the easy to use and intuitively designed user interface. RecruitmentWorx is fully compatible with most popular smartphones and tablets providing recruiters with complete on-demand recruitment software for the mobile, home, or office based worker. The General Data Protection Regulation (GDPR) was enforced on 25th May 2018. Our recruitment software can help you reduce the impact of GDPR on your recruitment business. Our online recruitment database software is fully cloud-based meaning it's available on-demand, whenever and wherever you need it. There's no software to install and all you need is an internet connection and a web browser - you and your team can work from anywhere! Your data is stored in a completely secure environment and in an independent recruitment database with one of the UK's leading hosting providers. 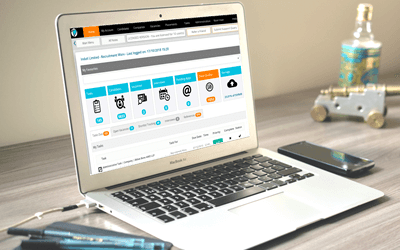 Access to all areas of your recruiter CRM are controlled by fully configurable user roles and permissions and your database is backed up on a daily basis as part of your subscription. If you're looking for low cost recruitment software then our clear and simple pricing models make our recruitment CRM with applicant tracking one of the most flexible and affordable recruitment solutions on the market. Best of all, there are no setup fees and we offer a simple rolling monthly subscription allowing you to avoid long term contracts. You can download your data free of charge if you ever decide to cancel and users can be added or removed from your plan at any time - It really is that easy! RecruitmentWorx provides a beautifully clean and simple user interface which you and your team will love. If your existing recruitment software application is cluttered, difficult to navigate, overpriced, or just frustrating to use why not give RecruitmentWorx a try? Our aim is to become your first choice software supplier by providing an intuitive user experience supported by responsive and knowledgeable UK based customer service. 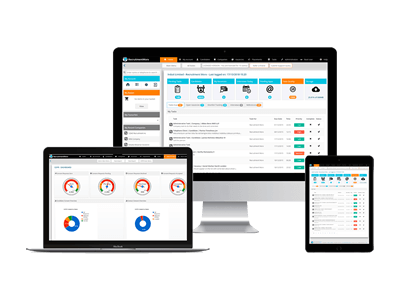 Simply request a demo today and get started with your next recruitment CRM software package. Trusted by recruitment agencies and recruitment start-ups throughout the UK, RecruitmentWorx is an easy to use, cloud based recruitment CRM software solution with applicant tracking designed to increase recruiter efficiency and manage clients, candidates, vacancies and placements.